Does your child jump incessantly? Get irritated quickly? Chew on anything? Bite? Stim (flapping hands, waving hand in front of face) constantly? Hit themselves or others often? Spin? Bang his head? These behaviors could be indicative of sensory issues. Based on one study, around 78 percent of children with autism have Sensory Processing Disorder, as well as many children who’ve been neglected and abused. Besides replicating what your Occupational Therapist (if you have one) does with your child, you can incorporate sensory toys that will help your child’s intense sensory needs. We’ve found that meeting Jeremiah’s sensory needs solves most of the behaviors we struggle with. When his sensory needs are met, he’s usually calm and happy. 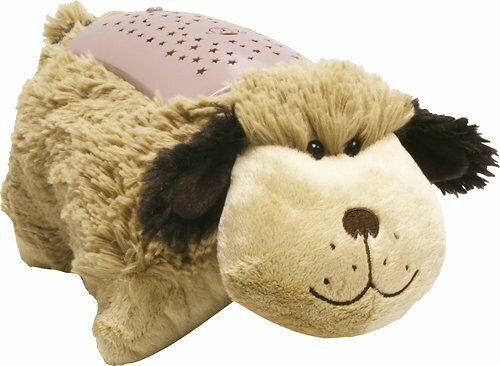 We’ve been on quite an adventure trying to find the right sensory toys to help Jeremiah, so I thought a post (now it’s turned in to two) on what’s helped us would be something you might appreciate. 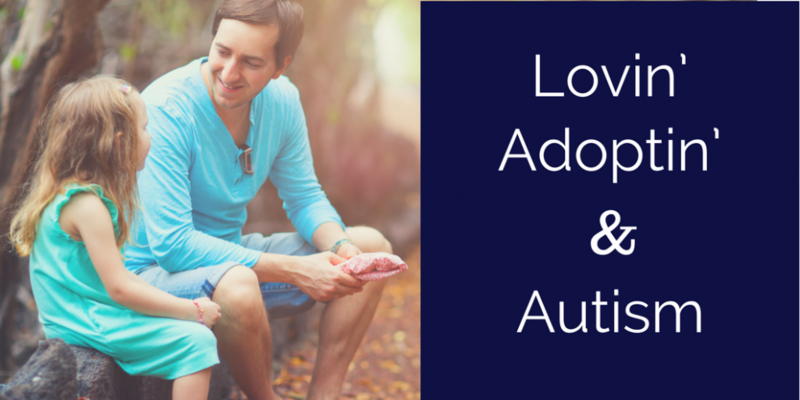 Trial and error is a large part of how you will help your child with their sensory issues, but this post is meant to help give you some direction on what to do and what to buy for your child. Some of these items are expensive, some aren’t, you can be creative to find cheaper solutions, or ones you can make at home. I’ll begin with ones that have helped Jeremiah the most. *For items that my child is going to put in his mouth (which I understand for most of your children, it’s EVERYTHING), I like to buy items that are nontoxic. 1) Swing. We can’t live without it. The swing is like our bread of life – okay, the swing and one other thing which I will mention next. Not only does Jeremiah have a swing in our yard, but we put one in his room. One summer he’d been swinging consistently in our backyard, and I was in fear of what life would be like come winter, literally fearful! I knew how much it helped him and the anxiety he felt when he couldn’t swing. Justin said, “Let’s put a swing in his room.” It was hard for me to accept the idea at first. It sounded like I was spoiling Jeremiah, plus he has a sister and that wouldn’t be fair. But the truths are 1) Jeremiah needs the swing to function, and any way we can help him we should. 2) Our daughter, Payton, gets to do a lot of things Jeremiah can’t. I’ve had to accept that life isn’t fair (I’ve been complaining that it isn’t since I uttered my first words, just ask my parents). Yeah, life stinks sometimes. Also, when we go on day trips, we always find a playset with swings, it makes Jeremiah happier, Payton has fun too, and we all benefit. 2) Doodle Pad. The second most important item in our bag-o-tricks. We spend WAY too much money on a Christmas tree doodle pad. It was one of his first, and the only kind he’ll use. He doesn’t go anywhere without it, and for years it was constantly in his hands, but in the past months he’s been found many times without it. His dependency on the doodle pad is diminishing significantly. It has helped calm him and gives his busy hands something to do. 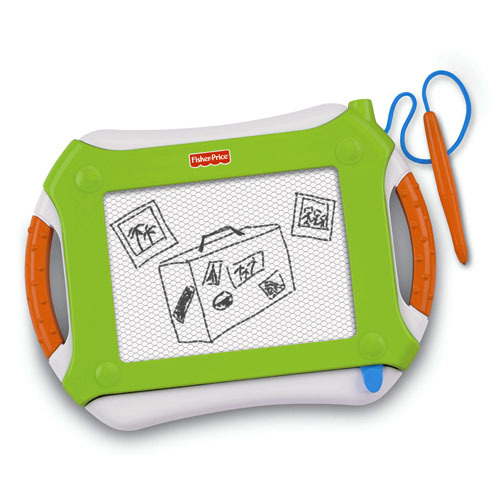 Plus, I love it because you can practice taking turns with it – you draw, then your child draws, it helps develop writing skills (as this can be hard to establish in autistic children), and you can work on letters, numbers, words, shapes, etc. with it. A great multipurpose tool. 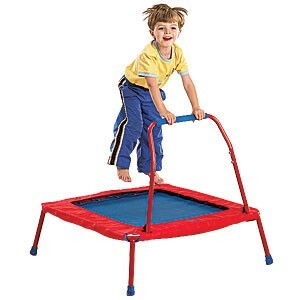 3) Trampoline. Another tool we depend heavily on. This, along with swinging gives Jeremiah the intense sensory input he desperately needs. We have the one pictured on the left outside and one similar to the picture on the right (a small one with a handle) we can use inside. We bought the one in the photo on the left from SAMS and I highly recommend it, it’s the safest trampoline I’ve seen. 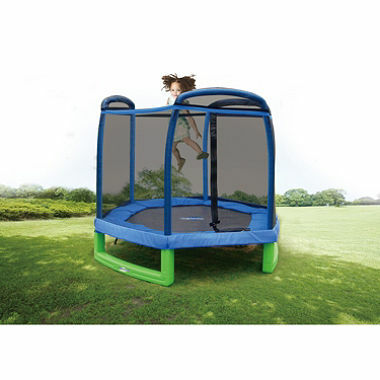 When I searched for this photo on the SAMS Club website I found this trampoline with a swing attached (two in one!). With the incorporation of the swing in Jeremiah’s room, and the ability to go outside for trampoline time this winter, we haven’t utilized the indoor trampoline this season. 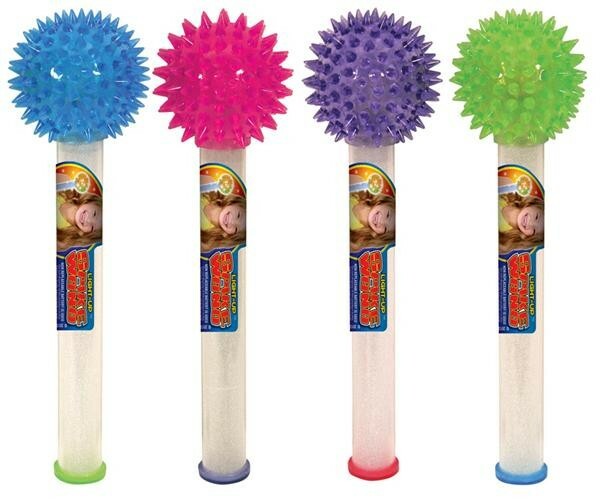 4) Slinky Chewy. When Jeremiah is chewing on his clothes or other items, or is frustrated, we often use this. 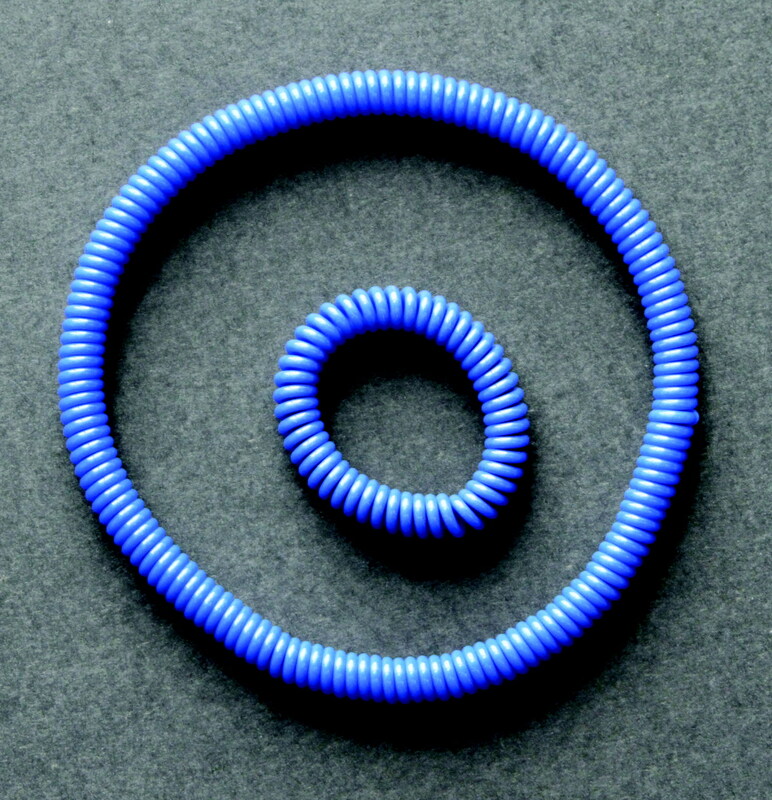 At first we had to give it to him and encourage him to chew on it, and he wouldn’t wear it around his neck. Now he will use it when he wants to (we still offer it to him when he doesn’t choose it first) and he will even put it on his neck. With the larger one he stretches it over his body. 5) Blankets for nesting. 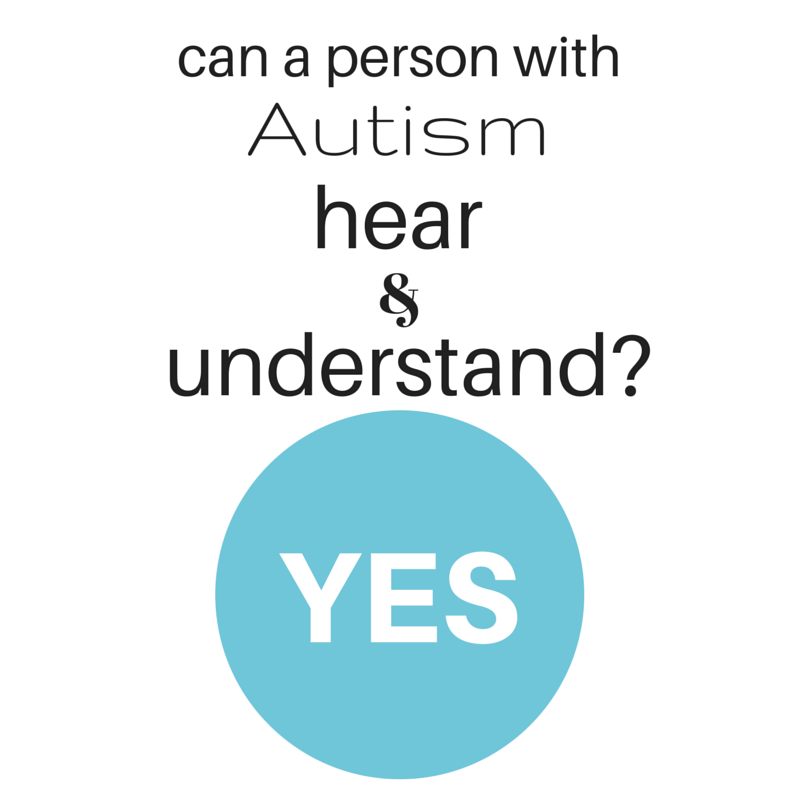 I didn’t come up with this term, I heard another autism parent use it and I liked it, so here it is. Jeremiah will gather his smaller soft blankets and lug them around the house. Normally he brings them out to the couch and snuggles under them (head and all). It’s something he likes doing and makes him comfortable. 6) Lights. We purchased the wand pictured on the left at Target in the bins at the front of the store, but I can’t find them on Target’s website. I found them online as “Spike Wand”. 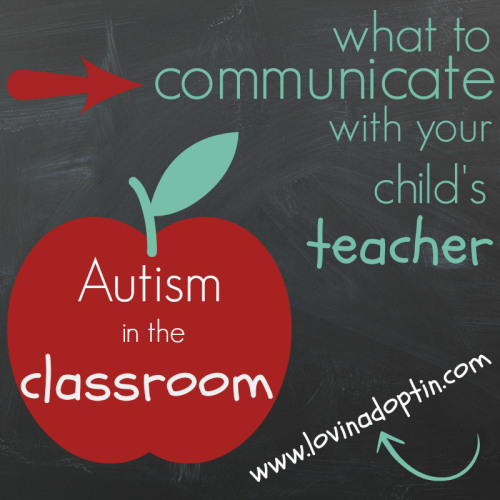 You need to get to know your child to determine if this is something they like. Some kids will like this and some kids won’t, Jeremiah only likes them at certain times. When it comes to using lights, there are several options. You don’t have to purchase something from a specialty store to achieve the desired result here. Jeremiah likes the balls with lights inside, especially the rubber wand with a ball at the end, when you hit it on something multi-colored lights flicker. He has a dinosaur that has a light in it’s mouth, when he pinches the tail, the mouth opens and the light turns on. 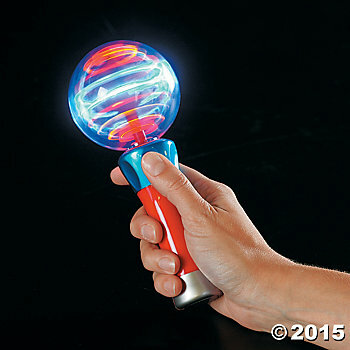 He was a fan of the spinning light wand for a long time. He also really likes this dog that shines lights on the ceiling. He doesn’t look at the ceiling, but likes looking at the stars changing colors. 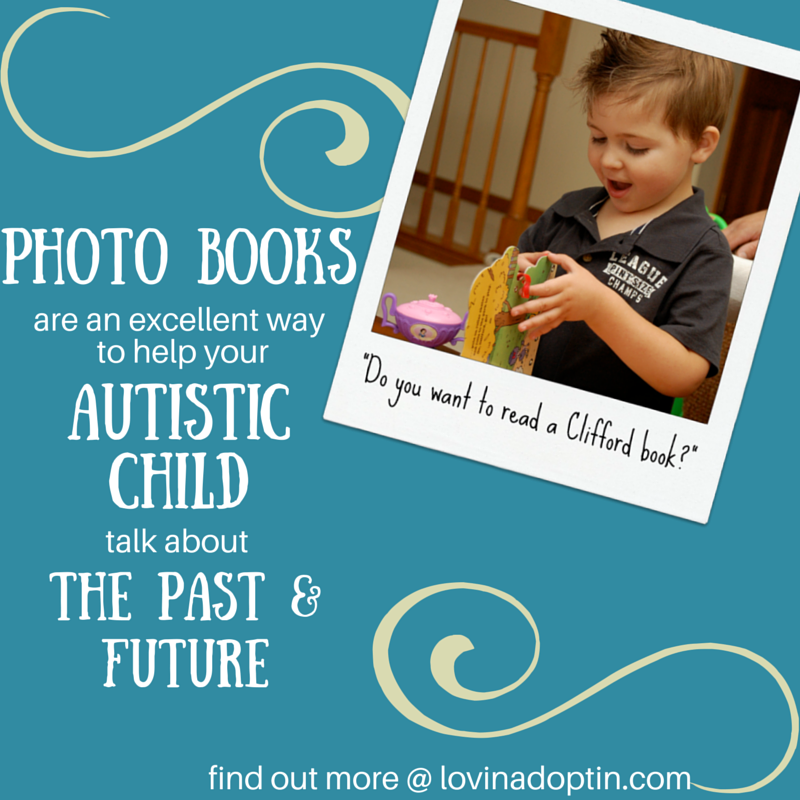 For more posts on autism, be sure to check out the CONTENTS page. You can receive each post made to Lovin’ Adoptin’ by subscribing in the upper right corner. If you’re on a mobile device, this can be done on the web version. You can also “like” my page on Facebook and follow me on Twitter and Pinterest for more helpful information and links. You can listen to a recording of this post by scrolling to the end. Gotta love kids right? 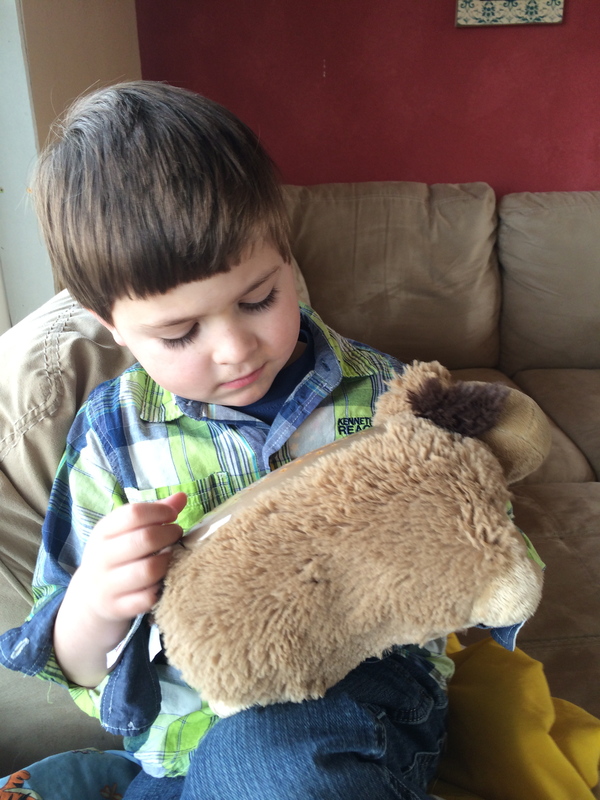 Since having a son with Autism, I’ve seen a whole new side of children I hadn’t seen before. I’ve worked with kids for years, I’ve been a teacher and a nanny, and only since watching kids and how they interact with Jeremiah did I gain a whole new perspective. Kids accept each other, despite what obstacles stand in the way. What obstacles might that be? Well, Jeremiah can’t talk, he doesn’t play with other kids (he’s only beginning to parallel play, meaning play next to other kids, not with them), he doesn’t usually smile at other kids, he doesn’t share what he’s playing with, and I will reiterate that first point again, he doesn’t talk. I feel that point is so important because our society in general doesn’t easily make friends with people who don’t talk, but not only doesn’t Jeremiah talk, he can’t communicate. You would think even in a child’s world commonalities and similar interests would bring two kids together and they would want to be friends. This isn’t so with Jeremiah and his little friends. Jeremiah is usually in his own world, he’s slowly breaking free from it, but he doesn’t engage with these other children who consider him their friend. Two years ago, when Jeremiah was three, he started preschool. A girl named Zoe quickly became his best friend. Zoe even called him her boyfriend. Jeremiah had no clue which is the most adorable part. Okay, there are more adorable parts. Zoe is a sweet girl, a tiny little thing, so cute, has leg braces, and uses a pint-sized wheel chair. Love her. And, she loves Jeremiah, they’re now in their third year of preschool together. I think it’s a lifelong friendship, maybe they’ll even get married. 😉 That’s just a little of the Mommy of a child with Autism hoping for the future. The other day when I picked Jeremiah up from school, a boy in his class said good-bye to Jeremiah, then proceeded to tell me, “I know Jeremiah.” I was thrilled. This boy “knows” my son, my son who doesn’t talk, or reciprocate relationships. Well, he does reciprocate a little, he likes sitting by Miss Zoe in circle-time. My brother-in-law, Rob, once said, “Kids and dogs.” This was after Jeremiah let him hold him during a time in Jeremiah’s life when only mom, dad, and Grandmas and Grandpas could hold him. We told Rob we couldn’t believe Jeremiah went to him, and then he made that statement, meaning that kids and dogs know people, they have intuition for who someone is. These kids know Jeremiah and the sweet spirit he has. They like him for who he is, even if he can’t communicate, play swords, or if he eats the play dough. They accept him. 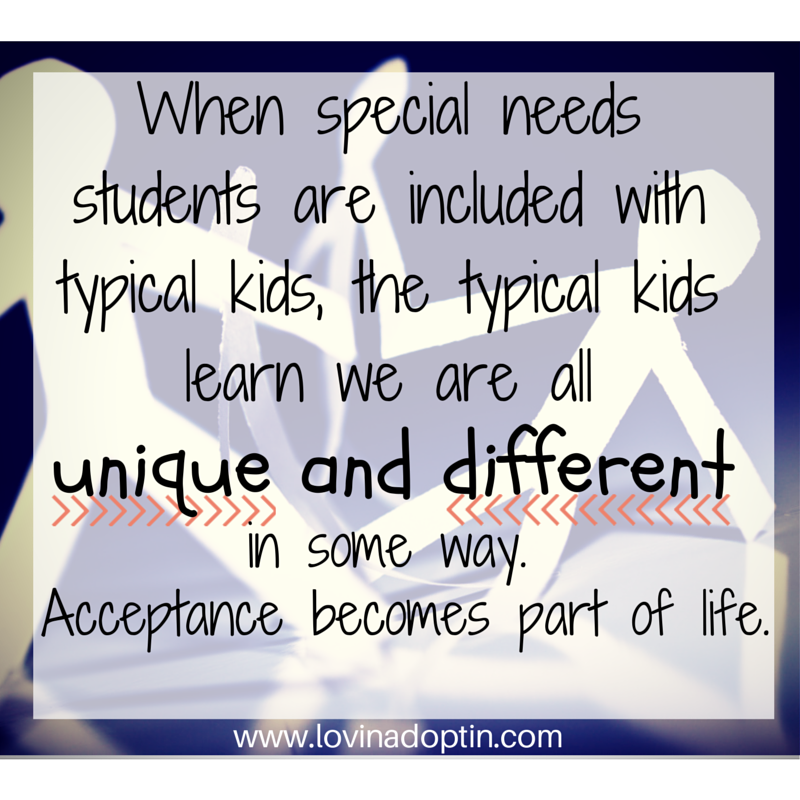 They’re learning through being in class with special needs children that we are all unique and different in some way, and acceptance is part of everyday life. No, not all kids give Jeremiah attention, but then not all kids are friends and get along with everyone, neither do adults. However, I’ve been surprised and pleased each time a child is aware of Jeremiah, says “Hi” to him, or tells me they like him. 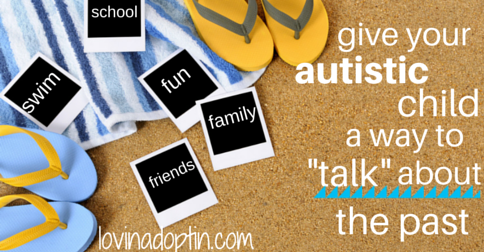 What joy it gives me to know that kids like my son, who happens to have Autism. Many of them will grow up with him, go through school with him, and hopefully stand by him if he’s ever bullied. I’m very grateful to these kids, kids who are only doing what is natural, before the rest of the world and it’s judgements get in the way. Another example of this acceptance is in the picture at the top of this post. It’s Jeremiah and his sister. 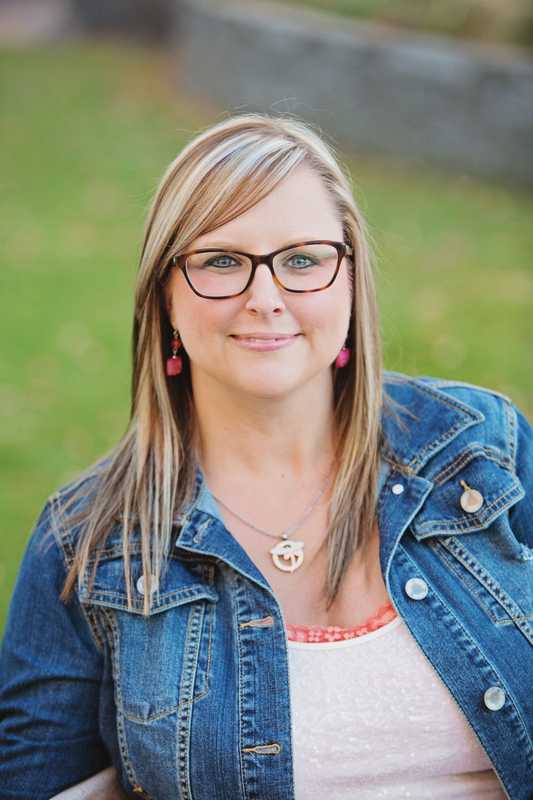 She’s now an amazing special needs advocate, compassionate with those who have special needs, and is in tune to their needs. I write more about her and her relationship with her brother in the post, Hurting Children CAN Develop Empathy. 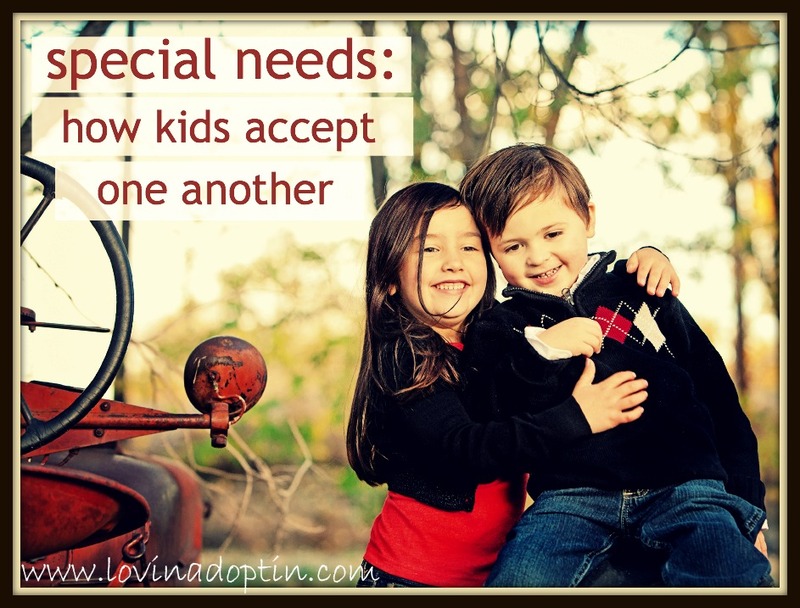 Does your child with special needs have friends? Does this surprise you?